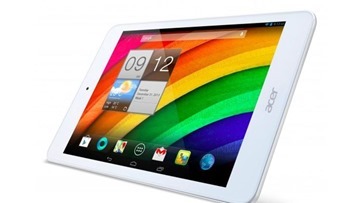 That tiny Android tablet you've been using is cute and all, but Acer is doing big things with Android. I mean physically big. The newly announced Aio (model TA272HUL) is a massive 27-inch all-in-one desktop system that runs Android on a high resolution WQHD touchscreen. The device is going to be running on a Tegra chip of some sort. While Acer did not specify which Tegra, it really has to be the Tegra 4 at this point. The screen is probably going to be nice at 2560x1440, which works out to 108 ppi – more than enough for a desktop experience. 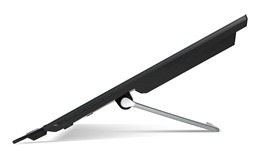 The Aio has a stand that can prop it up between 30 and 80 degrees for easier use. 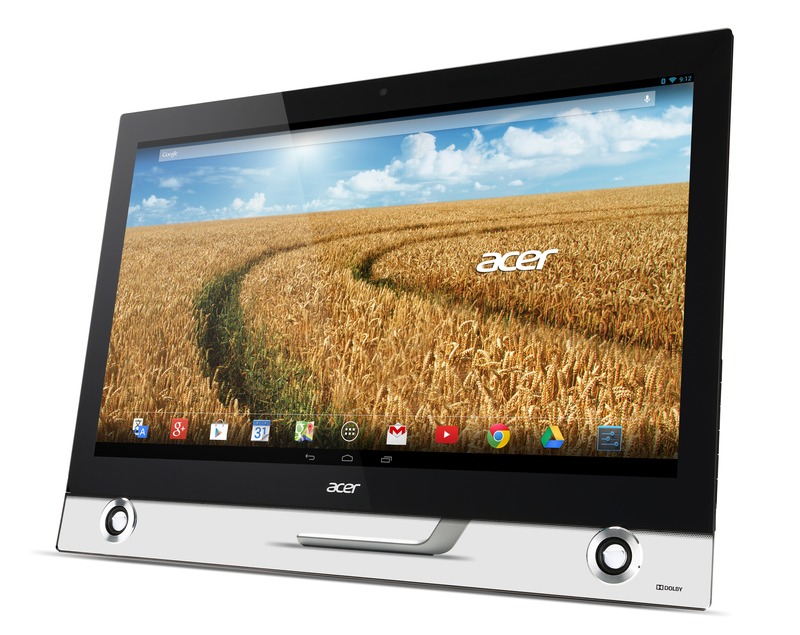 The other specs include Android 4.2, 16GB of storage, a USB 3.0 port, HDMI/DisplayPort out, and 802.11a/b/g/n WiFi. Acer didn't specify RAM, but it's probably 2GB. If you're into the whole Android desktop thing, prepare for sticker shock – the Aio TA272HUL is retailing for $1099. If that's too rich for your blood, Acer has also added two new entry-level Android tablets to its Iconia lineup. The Iconia A1-830 will retail for $180 and packs a 7.9-inch 1024x768 screen, 16GB of storage, an Atom processor, and 1GB of RAM. 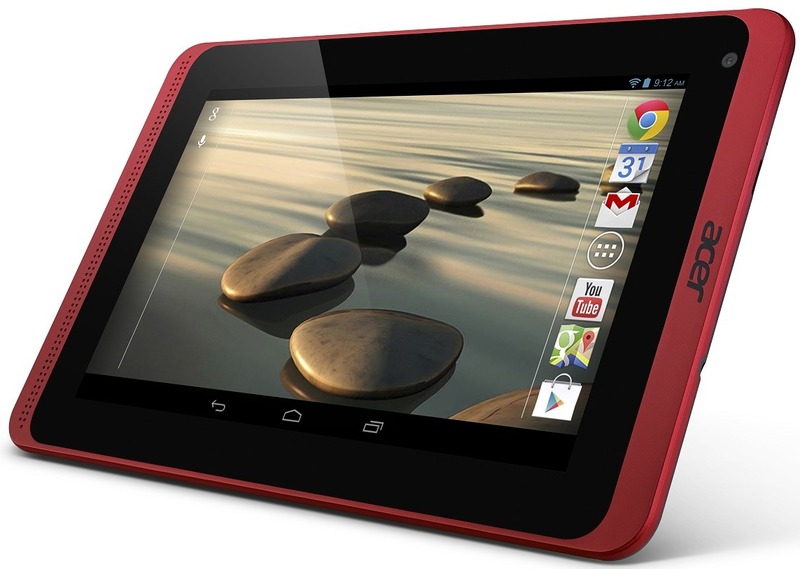 The B1-720 is only $130 and comes with a 1.3GHz dual-core ARM chip, 1GB of RAM, and a 7-inch 1024x768 screen. Notably, these devices are 4:3 ratio like the iPad. They're certainly budget tablets, but not a bad price. 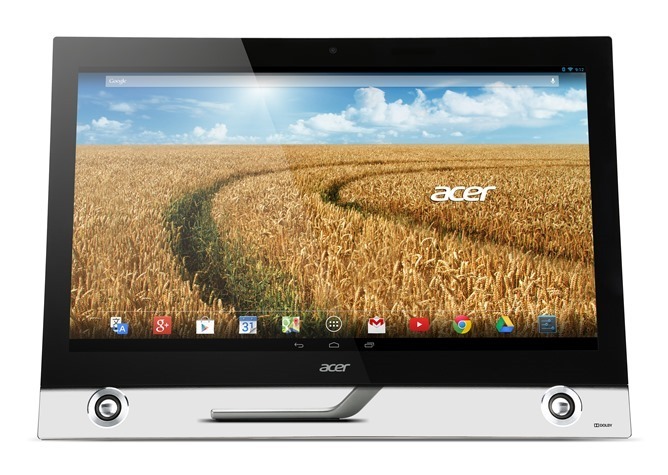 LAS VEGAS, (January 3, 2014) Acer today launched the Acer TA272 HUL Android all-in-one (“AIO”) that combines an ultra-high resolution 27-inch display, powerful NVIDIA Tegra quad-core processor and premium chassis design. The Acer TA272 HUL brings stunning visuals to home entertainment. It is equipped with a WQHD display with a 2560 x 1440 resolution that is four times sharper than HD, providing users incredibly crisp visuals for all their discerning entertainment needs. In addition, it also offers wide-viewing angles without color difference and a high contrast ratio, ideal for sharing and collaborating with friends and family. Featuring a 10-point touchscreen, users are provided a convenient, intuitive experience for apps and widgets. The Acer TA272 HUL possesses the necessary performance for smooth multitasking, daily computing, gaming and applications. The system comes fitted with an NVIDIA Tegra quad-core processor, 16G internal memory and dual-band 802.11 abgn wireless. Running Android OS 4.2 Jellybean, users can take advantage of millions of free apps and enjoy the Android experience afforded by mobile devices on a big screen. The Acer TA272 HUL sports a premium design that incorporates a transparent base and asymmetric stand that makes the AIO appear it is floating and an edge-to-edge glass design for a seamless and minimalistic look. The stand allows the frame to be easily positioned from 30 to 80 degrees tilt, allowing users to set the most comfortable viewing angles. 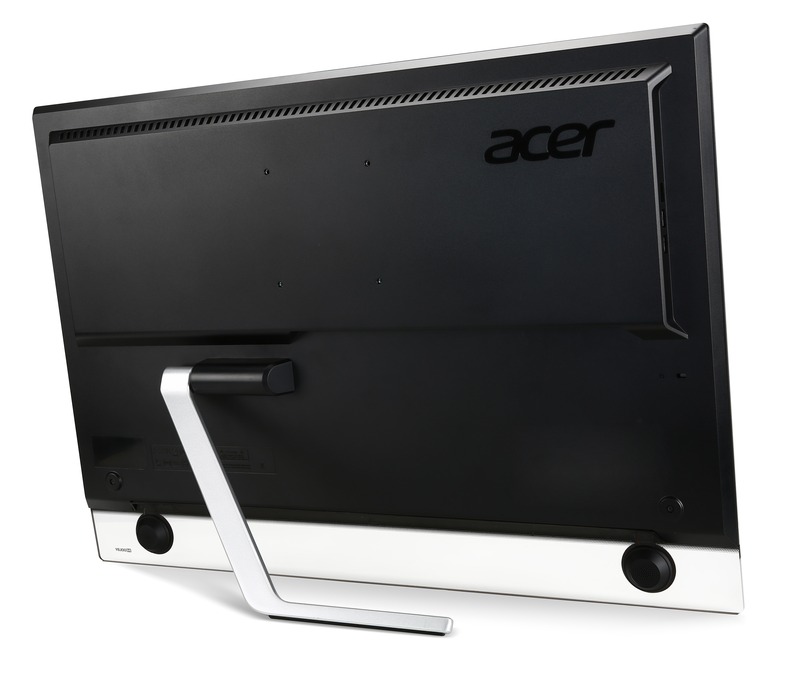 The Acer TA272 HUL is also outfitted with two front-facing Dolby surround sound speakers for superb audio and a 2MP webcam. Excellent connectivity is afforded including a USB 3.0 port for attaching game controllers and other peripherals. 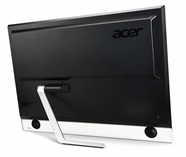 HDMI and DisplayPort permit the display to be used as an external monitor for other devices, and Windows 8 certification permits smooth touch control when theAcer TA272 HUL is used to project devices with Windows OS as well. Acer PCs can be seamlessly integrated for accessing data anytime, anywhere through Build Your Own Cloud (BYOC™) (1). It enables users to build their own cloud on their devices, such as music, photos and other types of clouds. These self-built clouds, based on an Acer Open Platform, are reliable, more secure, easy to use and provide users convenient access to their information and content anytime, anywhere. 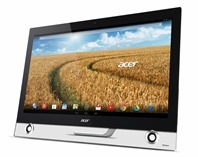 The Acer TA272 HUL all-in-one is already shipping worldwide with a manufacturer’s suggested retail price of US$1,099. For details about availability, product specifications and prices in specific markets, please contact your nearest Acer office or retailer or see www.acer.com.